HAVER & BOECKER created the ADAMS®, a hybrid concept that combines the traditional valve-bag filling process with the FFS technology. Specially designed tubular-style bags are dispensed into the machine coming off a roll. 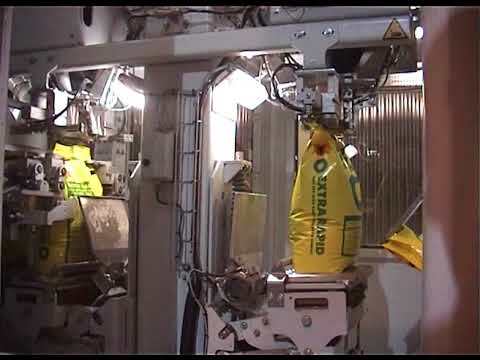 The machine cuts, welds and forms the bag prior to delivering it to the filling spout. The traditional impeller technology fills the plastic bag while a combination of a vibrating rod and vacuum technology extracts the air out of the bag prior to welding it shut. The result is a completely sealed, well compacted bag that can be transported and palletized without any instability. HAVER & BOECKER ADAMS® technology stands for the filling of powder-type products and those with difficult flow properties into watertight PE packaging. 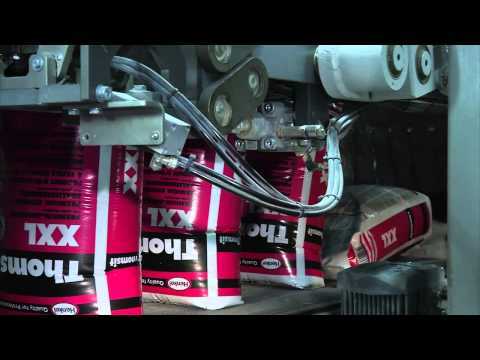 Packing with Form-Fill-Seal machines has long been the rule for granular and grainy products. And to allow air escape, packaging material may be needled or micro-perforated. But this is not possible with powder-type products because the product’s dust portion leaks out. Product compaction inside the bag and air escape during filling are the fundamental requirements for achieving a clean and efficient packing result. The filling systems are based on the HAVER & BOECKER ADAMS® technology, and with their special technical features they are highly convincing. Tightly sealed PE bags withstand for a long lifetime and a consistently high product quality for powdery products along the entire transport and storage chain. At building sites, during transport or storage, on the sales floor, inside or outside – PE bags ensure dust-free surroundings, as well as a clean and attractive presentation along the entire delivery and storage chain.